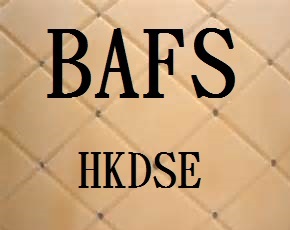 BAFS Accounting private tutor who holds (Master degree in accounting and professional accountancy qualifications) provides tutorial lesson (One on One) on HKDSE BAFS. The tutor has much teaching experiences in HKDSE accounting subject. the tutor can share accounting exam skills to handle questions in the exam. For those who are interested in BAFS tutorial, please feel free to contact the following email.